Matt is leery of this bus situation. From Alwar we took a quick train back to Jaipur where we managed to find yet another mode of transportation. Previously we've done plane, train, bus, rickshaw, autorickshaw (tuk-tuk), cable car, elephant, canoe, 4wd jeep, and of course lots of walking. To get to Jaisalmer we booked a sleeper bus. 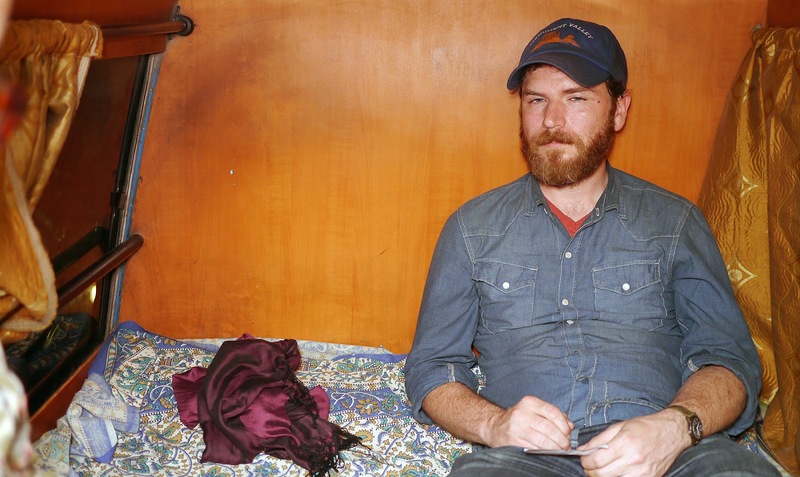 Instead of overhead luggage racks, there are small bunk compartments. We arrived at the bus stand about 3 hours early because we didn't really have anywhere else to go. As we sat there among the massive bags of random cargo (that gets packed mostly onto the roof of the buses) a young boy approached us. In quick, good english he told us that his bus to Jaisalmer is very fancy and would leave soon and that his brother has a hotel there. Immediately our guard was up. No, we said, we have already booked the bus and our hotel. But he was not deterred, for the next couple of hours, he'd come up and repeat his offer of a better bus and his brother's hotel. Time and time again, we said no. But when our bus arrived, we were confused and a little shocked to find that the boy was actually working for the bus company we booked. We felt a little bad at how little regard we'd given this kid but after so many other touts trying to get us to do something we didn't want to do I think it is understandable. The sleeper bus was strange. Our compartment was comfortable enough and had a tinted plexiglass sliding door for privacy. It was bumpy, but not that bad. We even broke out the computer and watched a couple episodes of Breaking Bad. Around midnight we pulled into a roadside restaurant along with several other overnight buses. Aside from that we were able to get a better sleep than some of the hostels we've stayed in. 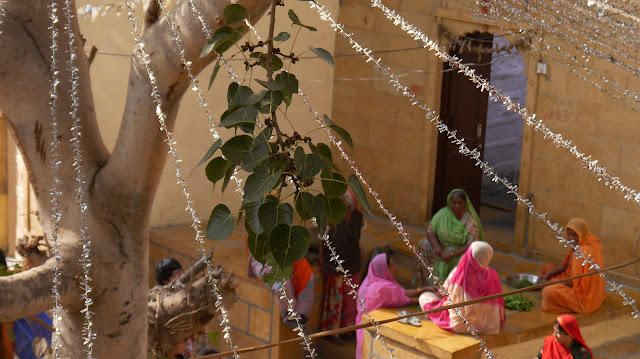 When we arrived in Jaisalmer, nearly 2 hours earlier than we had expected, one of the hotel owners was there to meet us and lead us to his hotel. One of four gates that lead into Jaisalmer Fort. The window of our room looked out onto a square where local ladies hang out. 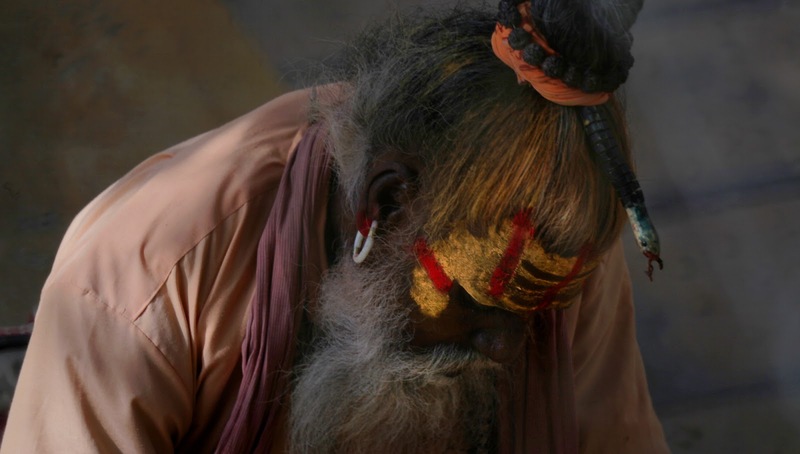 A sadhu (Hindu holy man). 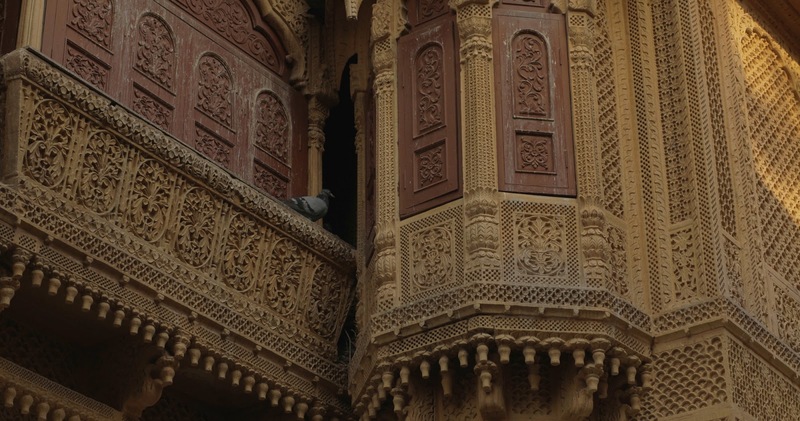 Jaisalmer is known for it havelis, intricately carved sandstone architecture. Cafe The Kaku, on a hill overlooking the fort and the city. Jaisalmer is a beautiful city. It is called the golden city because most of the buildings are constructed of sandstone and give off, you guessed it, a golden glow. In the center of the town is a sandcastle-like hilltop fort that dates back to 1156! Our hotel was literally part of the old fort's walls. Our first day, we walked out to a cafe that was recommended for sunset views and got lost. At one point we stopped to ask for directions and within seconds were surrounded by at least a dozen children all clambering to ask us our name, where we're from (and for candy or pens; damn the tourists who ever thought it was a good idea to encourage begging). We eventually made it to the cafe which was yet another ancient sandstone fortification and watched the sunset beside the fort. The road leading into the desert. 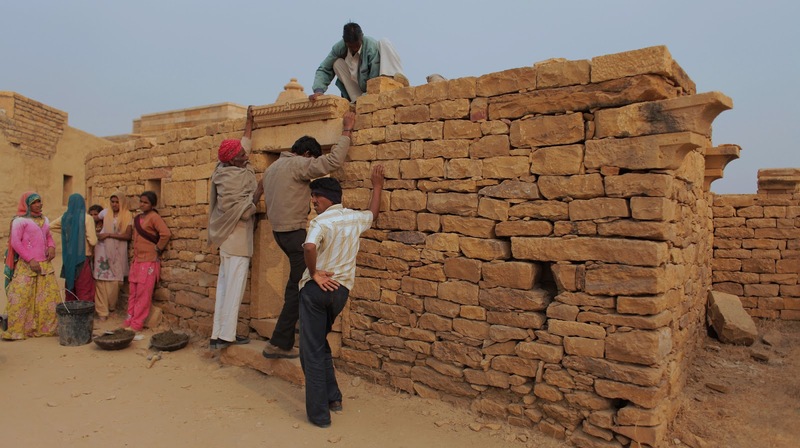 The ghost town ruins of Kuldhara. Some locals restoring one of the buildings. 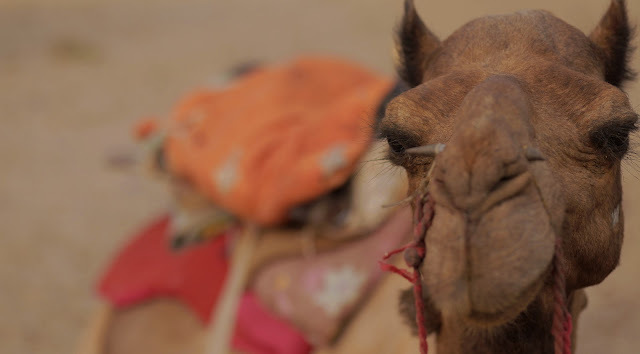 The following day we went on a camel safari into the desert (so we can add camal to modes of transportation). 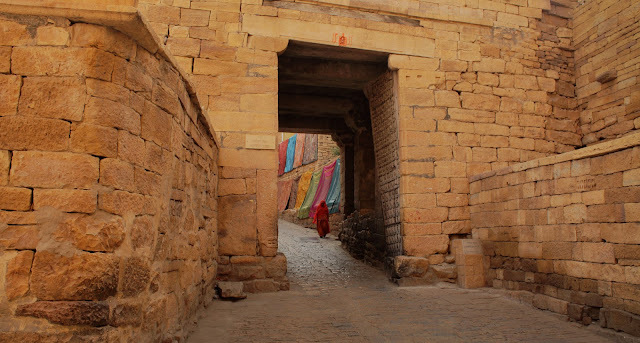 The trip consisted of a jeep drive to Kuldhara, another cursed Indian ghost town. Kuldhara was a town of Paliwal Brahmans. One legend goes that the people of the town were approached by a mean king from a nearby kingdom. The king spotted one very beautiful girl from Kuldhara, who happened to be the chieftain's daughter and said that he would marry her or leverage unfair taxes on the town's people. The leaders of the town asked to think it over for a few days. The king agreed but when he returned the town and all the nearby villages had been completely abandoned. 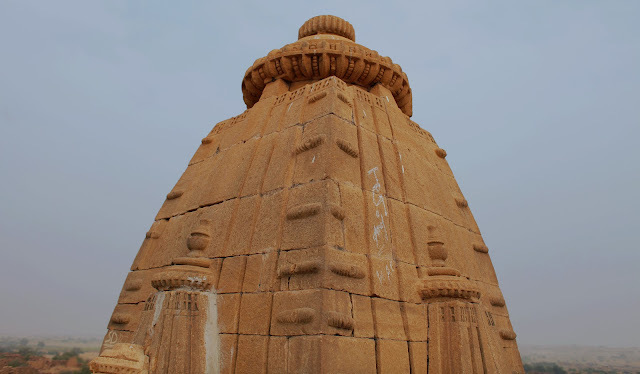 The other legend is that Kuldhara (a town of pious Paliwal Brahmans) and nearby villages were being raided by roving bands of the desert equivalent of pirates. After the town attempted to defend itself, the pirates exploited the townsfolk's strict religious beliefs by dumping dead cows into the town's wells. Cows were sacred animals to the Paliwals, not to mention that the dead animals poisoned the town's water supply. The people of Kuldhara and the other nearby villages all abandoned their homes, but not before leaving a curse that anyone who dwelled on the these grounds would perish. Locals, for the most part still rarely venture into the town, and never at night. Bree lounging on the dunes. With a German guy (half of the only other couple with us) posing in the distance. The guides preparing our desert dinner. 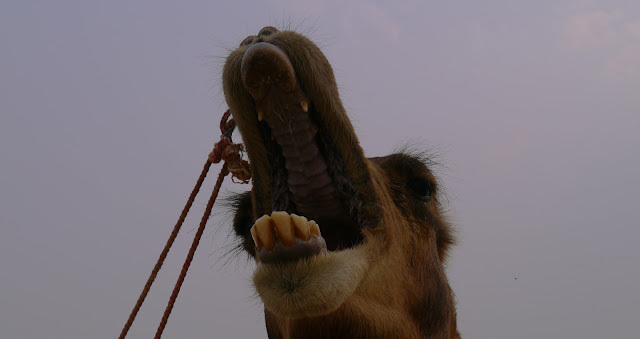 The randy camel rolling in a bush. Time lapsing the desert sunset. 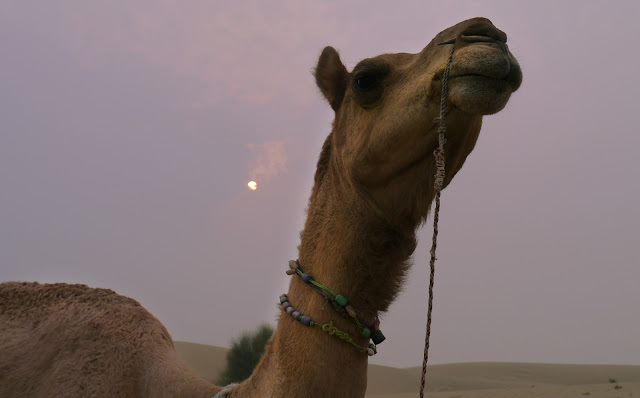 After the ghost town, we drove deeper in to the desert where we met up with our camels. 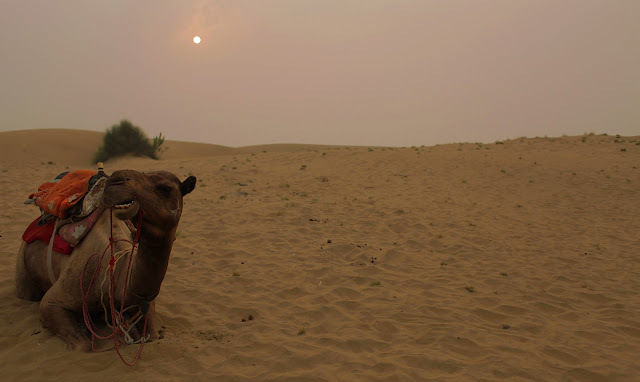 About 2 hours of bobbing around on top of the one hump dromedaries, we arrived at a series of large sand dunes. We watched (and I time lapsed) the sun setting while our guides prepared a typical desert meal: dal with veg, chapati, and rice. We sat around a fire as night set in and the guides sang a couple traditional songs for us. As we drove back to Jaisalmer, with the driver blaring Bob Marley, a quick storm blew in, complete with high winds, lightning, and hail. By the time we were back at the hotel, only the wind remained. 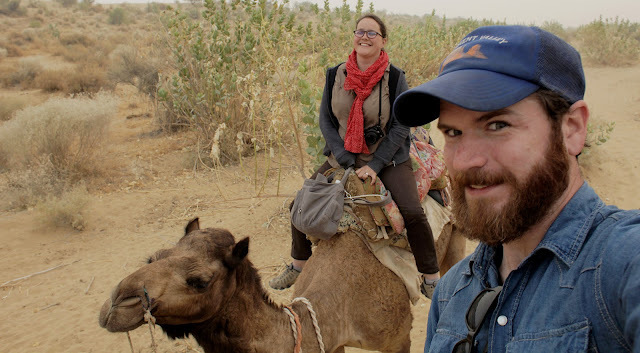 Almost immediately after arriving Bree and I regretting only allotting 2 days in Jaisalmer. It's a small city but we both wished we had more time to hang out in this very cool (and visually stunning) desert outpost.